Facet syndrome – At the place where two spinal bones meet they connect by means of a funny looking little joint that looks like a hinge, called a facet. When two spinal bones move together they glide along the hinge or facet surface. The interconnected facet joints have a smooth and slippery cartilage coating to make movement easier, and each joint is surrounded by a capsule of tissue that lubricates the facet joints to create a lubricated and stable joint surface on which the spinal bones can glide. As a person ages and sustains the usual stresses of living, the facet joint cartilage surface will sooner or later wear away, putting more physical stress on the nearby disc cartilage and allowing the bones to come closer together, resulting in nerve compression symptoms. In addition, the loss of cartilage on the facet joint allows for painful bone-on-bone contact and development of bone spurs in the area (next). Bone spurs or osteophytes – Bone spurs are natural growths of bone that occur in response to bone injury and loss of bone mass, in this case the body will attempt to create additional bone to replace lost material. An osteophyte will also develop when the body determines at a deep level of proprioception awareness that a part of the body is unstable and needs reinforcement. Lastly, bone spurs are created in the immediate area of bone-on-bone contact near a joint, as in the spine, to stabilize and reinforce bone that is getting too close to other bone. Spondylosis or degenerative disc disease – Like in the rest of the spine, the vertebrae in the neck are separated and cushioned from each other by pads of thick, spongy cartilage, called intervertebral discs. With age and physical use and abuse these discs can become dry, brittle and worn. When they are no longer able to withstand the rigors of every day physical stress the discs of the neck, like the rest of the spine, will begin to swell and push the jelly-like central disc material to seep into the spinal canal, disrupt the normal movement of the vertebra, and by thinning out will allow the bones to come closer together. All these changes allow for nerve compression to occur and results in shoulder and neck pain. Spinal stenosis – The spinal canal is the central opening of the spine through which runs the all-important spinal cord; it houses and protects the spinal cord and several critically important nerve roots. Spinal stenosis refers to the gradual narrowing and reduction of the size of the spinal canal, usually by bone spurs or osteophytes (see above), as well as by misplaced cartilage, thickening of ligaments, and tissue fluid that collects in the area. The presence of these different forces impinges upon the space of the spinal canal, causing the neural structures within the spinal canal to become compressed or pinched. Of the various neck pain treatment options, the one that eventually works best is the one that comes closest to solving the cause of the neck pain. What works perfectly for one person will not necessarily help the next person, because not all neck pain causes are the same. When neck pain is due to nerve compression it is important to include a direct and appropriate pinched nerve treatment for best results. Typically, if compression or a pinched nerve in the neck is causing pain and other symptoms, conservative treatment is usually all that is necessary to reduce the compression and neck pain. Cervical collar or brace to limit the amount of movement around the nerve, and prevent further compression, which allows it to rest and recover. There are many easy and safe treatment measures to use that will reduce the intensity and frequency of bouts of neck pain and stiffness related to cervical spondylosis, or wear and tear arthritis of the cervical spine. 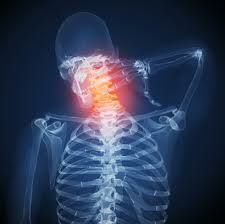 Learn about them at spondylosis and neck arthritis treatment. If all conservative measures have been exhausted and the pain of a pinched nerve in the neck persists, a surgical option might be appropriate. This is especially true if muscle weakness and loss of muscle mass develops over time or if the particular nerves being pinched result in loss of control of the bowel or bladder, indicating severe nerve damage. A pinched nerve should never be ignored because severe and permanent damage could result. Most pinched and irritated nerves will naturally resolve within a few weeks, be sure to let your doctor or chiropractor make the exact diagnosis and determine your correct course of pinched nerve treatment.